At Baboquivari Unified School District #40, we take the transportation of our students very seriously. All of our drivers are certified by the state of Arizona and hold a commercial driver’s license. 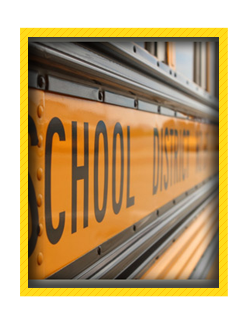 They are trained to follow all state regulations regarding school bus operations, well-organized transportation, and traffic laws. You can rest assured that your child’s safety is our priority. Please take some time to review the bus rules provided in the sidebar on this page. Should you have additional questions or concerns, we invite you to stop by our office or give us a call. We’re glad to be of service. Please also be aware that buses and drivers are subject to change daily. We move drivers where they may be needed on different days due to trips and other events. For more of our Transportation staff listings, view our staff page.